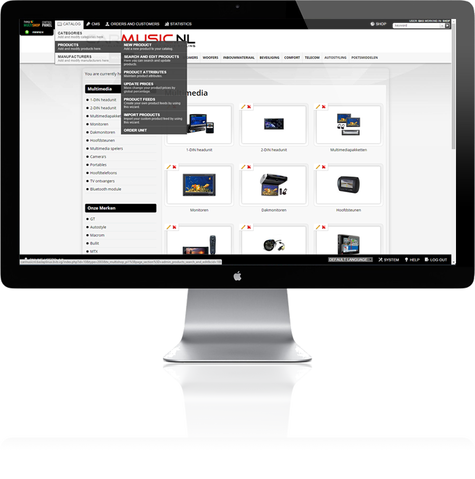 Setting up a web shop has never been that easy, with the click & play TYPO3 plugin Multishop. Multishop puts you fast into e-commerce business and is incredibly user friendly. Most web shop solutions provides a seperate back-end system for updating the catalog. In Multishop the backoffice is integrated to the front, giving you the ultimate "What You See Is What You Get" experience. The maintenance happens in the front-end, so you see directly how your customer sees it.